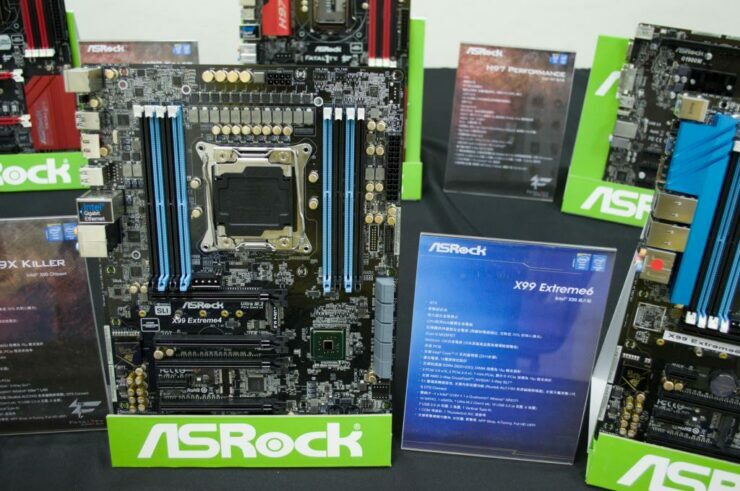 A whole ton of X99 motherboards for Intel’s upcoming HEDT Haswell-E platform have been unveiled by board makers over the past few months and today, we have two more motherboards to feed your high-performance needs. 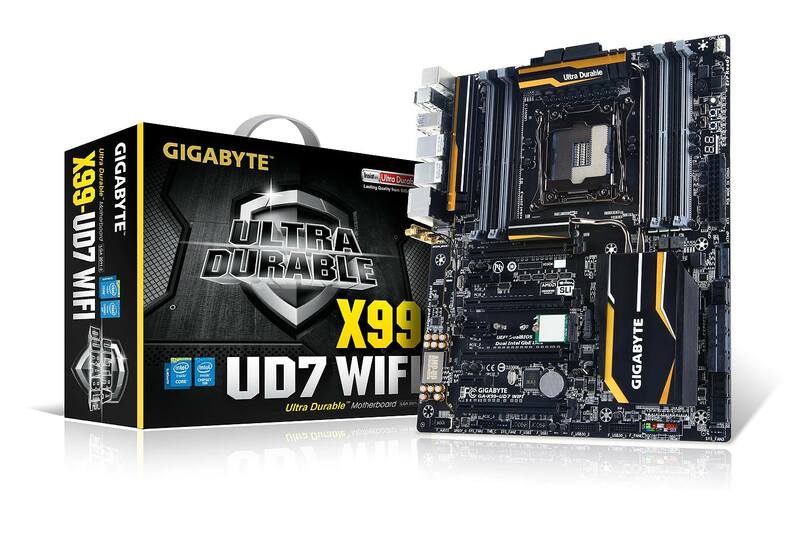 Gigabyte has unveiled their latest X99 UD7 WiFi motherboard while ASRock has detailed their X99 Killer motherboard which was revealed a while back. 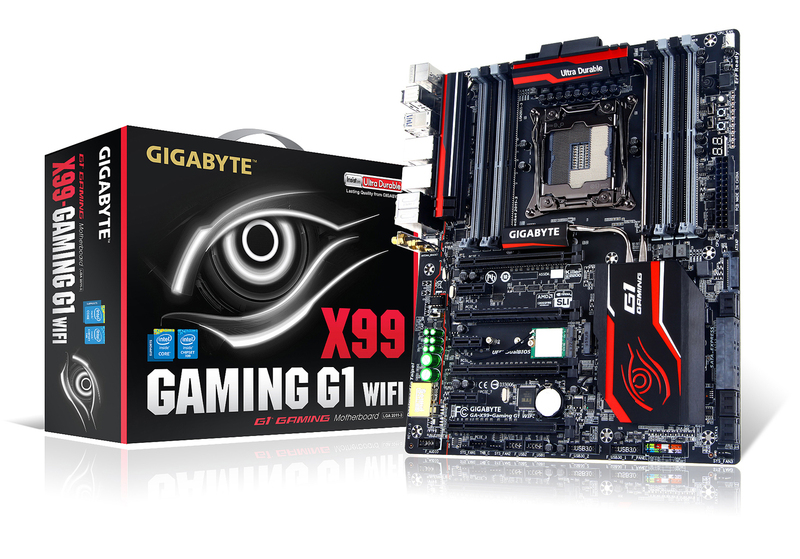 We will start off with the Gigabyte X99 UD7 WiFi which is the latest of the X99 motherboards from Gigabyte, additionally including their X99 Gaming G1 WiFi and X99 SOC Force. Based on a full ultra durable design, the Gigabyte X99 UD7 WiFi features the LGA 2011-3 socket which supports Intel’s Haswell-E processors including their flagship 8-Core Core i7-5960X. The X99 UD7 WiFi is awful lot similar to the Gaming G1 WiFi and the only difference I was able to spot was a different color scheme and a AMP-UP Sound Blaster PCB design. The board features a gold yellow and black color scheme that uses four sets of heatsinks, three near the LGA 2011-3 socket for PWM, VRM cooling and a larger PCH heatsink which cools off the X99 chipset. The heatsinks are connected through a large heatpipe which run across the surface of the PCB dissipating heat off the components for load optimization. 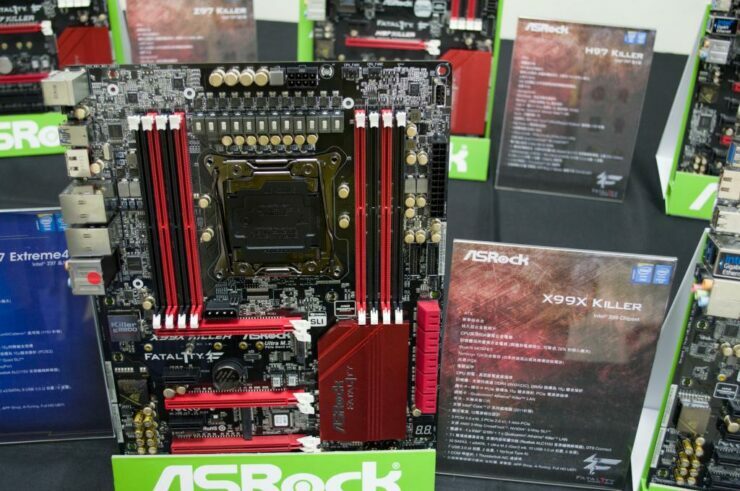 Expansion includes four PCI-e 3.0 x16 slots and three PCI-e 3.0 x1 slots. 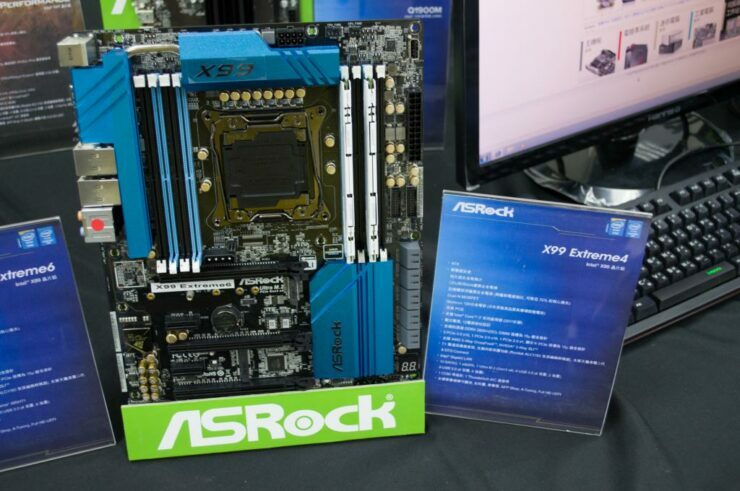 The motherboard is capable of supporting 4-Way SLI and CrossFire thanks to ample spacing in between the PCI-e Slots. There’s a mSATA connector and a mPCI-e connector in the middle of the PCI-E slots which enables 802.11 B/G/N WiFi support. Storage includes 10 USB 3.0 ports, 2 SATA Express ports. two USB 3.0 headers, two USB 2.0 headers and a PEG connector next to the SATA ports for additional power. 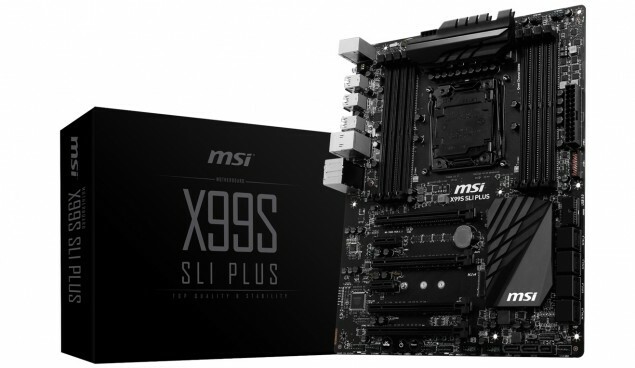 Several features could be spotted on the motherboard which include a Sound Blaster powered isolated PCB which uses high-quality components and OP-AMP for superior audio quality through the 7.1 Channel audio jack. 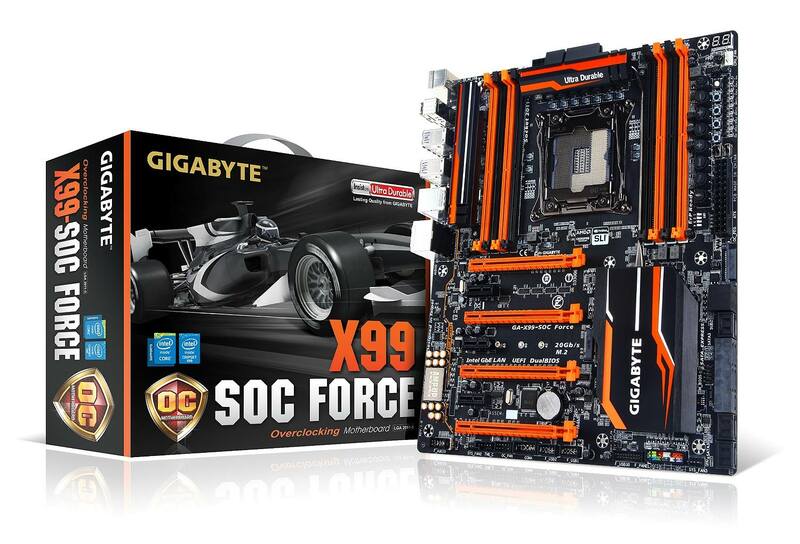 From a technical perspective, the motherboard features a 12 Phase high-quality Super Alloy Power design. 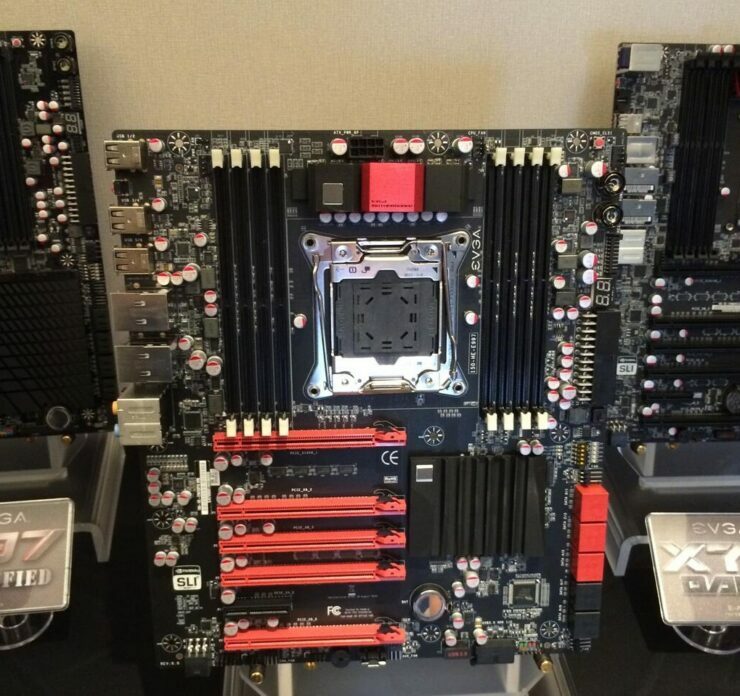 The CPU socket is powered with a single 8-Pin connector and the 24-Pin ATX power connector. 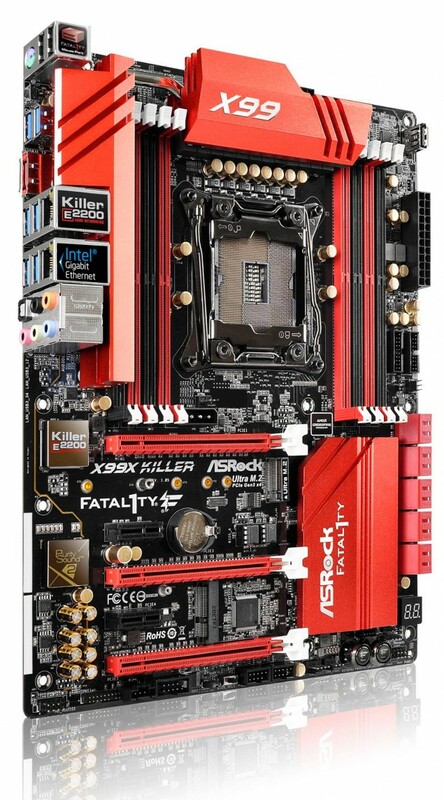 Being a enthusiast and gaming design, the motherboard comes in the ATX form factor featuring 50G Aluminum Alloy heatsinks that will be included on the final design, Premium Alloy Chokes, Dual-Stack MOSFETs, Japanese made high-quality conductive polymer capacitors and support for the latest and greatest Haswell-E processors. 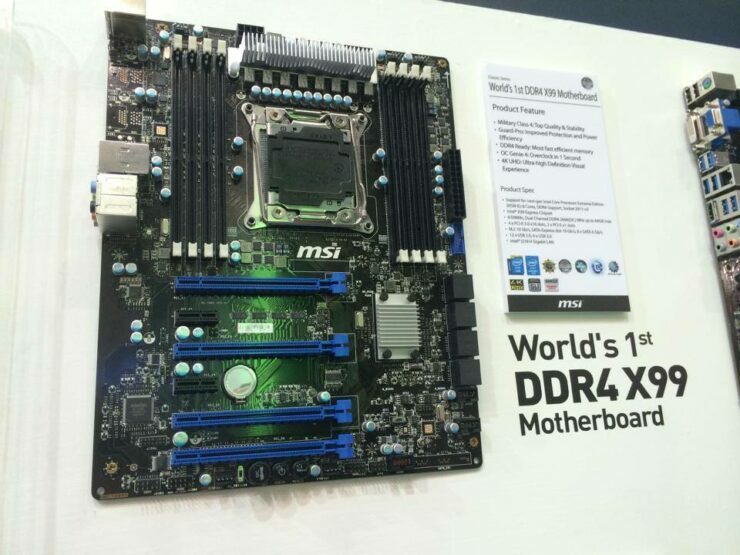 There are eight DDR4 DIMM slots, four on each side of the socket which can support up to 128 GB of Quad Channel memory with speeds of up to 2800 MHz (O.C+) and support for ECC and RDIMM memory. 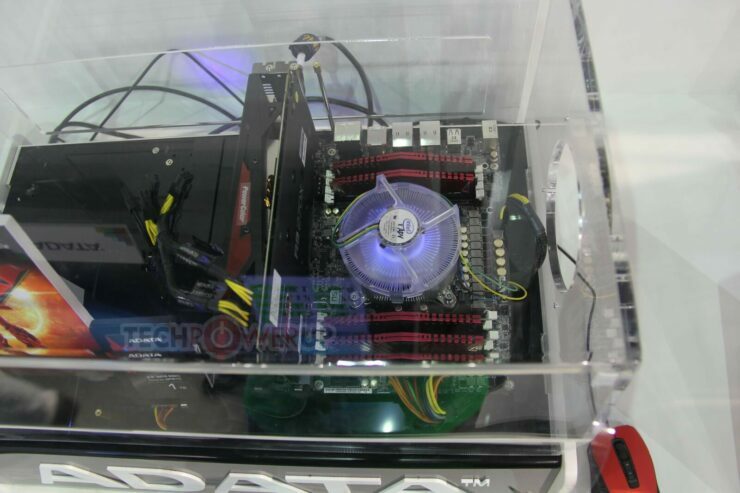 Expansion slots include three PCI-e 3.0 x16 and two PCI-e 3.0 x1 slots. The expansion slots are all 15u gold contact in VGA PCIe slots and feature support for 3-Way AMD CrossFireX and 3-Way NVIDIA SLI. There’s also the Ultra M.2 slot, mPCI-e in addition to the mPCIe slot and 4-Pin Molex connector which adds additional power to the PCI-e expansion lanes while using several cards. Storage connectors include 10 SATA 6 GB/s connectors followed by two USB 3.0 headers and a Diagnostic LED are located just below the X99 PCH. The motherboard comes with the Purity Sound 2 design which offers a 7.1 channel HD Audio jack powered by AL1150 codec and DTS Connect. Additionally, being a FATAL1TY series motherboard, the X99 Killer also adopts Killer E2200 LAN network chipset for better networking. 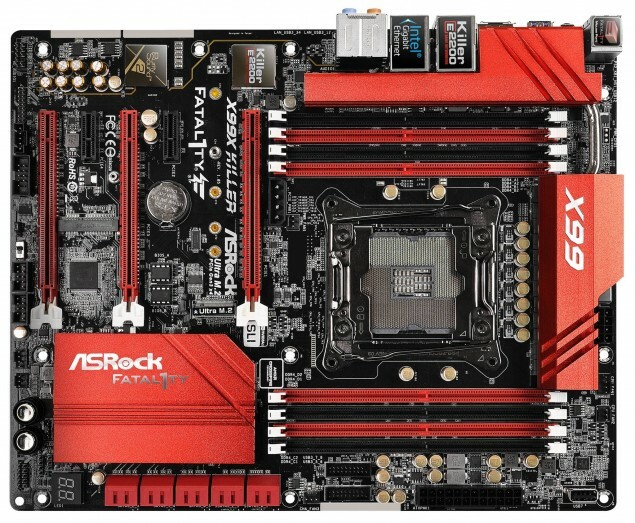 A USB 2.0 connector can also be found on the top right corner of the motherboard which is pretty useful during installation and overclocking since users can’t reach the I/O panel. 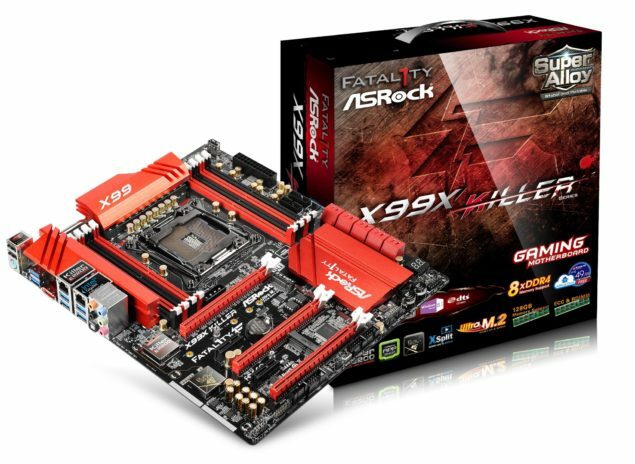 I/O on the ASRock X99 Extreme 6 motherboard includes 1 eSATA, 6 USB 3.0 (6 Rear, 4 Front), 2 USB 2.0 (4 Front, 2 Back), 1 COM Port Header, Intel Gigabit Ethernet LAN, Killer E2200 LAN, ASRock HDD Server Technology, ASRock Cloud and Full HD UEFI. Expect the launch of the X99 series motherboards on 29th August 2014 when Haswell-E officially launches.